UK Defence Secretary Gavin Williamson MP announced the creation of the Modernising Defence Programme (MDP) inquiry to Parliament in January 2018. The MDP separated out from the National Security Capability Review (NSCR)1 and its scope covers 4 key strands of defence capability. Three of the strands are reviewing “organisation, efficiency management and business and commercial practices in the Ministry of Defence (MoD).”2 The forth strand is reviewing the structure of UK military forces. What are the emerging recommendations and areas of opportunity for MilTech innovators? Briefly touching on the NSCR, the three national security objectives for the UK are 1) protection of people 2) protection of the UK’s global influence and 3) protection of prosperity. 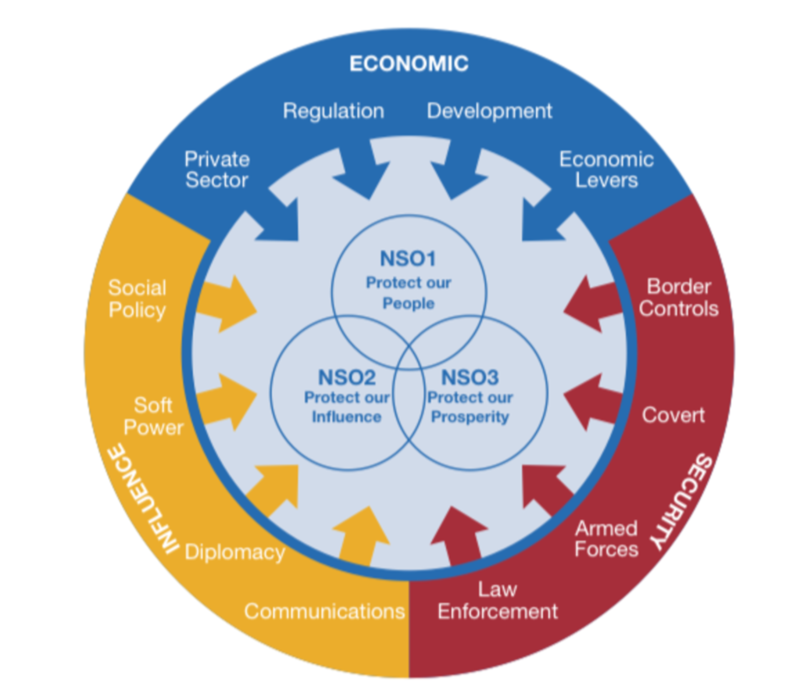 In response to the evolving threat landscape, particularly cyber threats, CBRN (for example the recent Novichok poisoning of Sergei and Yulia Skripal3 and Dawn Sturgess and Charlie Rowley4) threats from transnational terrorism, organised crime and competing nation states, UK Government is introducing a new national security doctrine, known as Fusion Doctrine.5 This doctrine seeks to cohere the collective capabilities of government and extant national security apparatus to deliver against key strategic national security objectives. A Virtual National Security Academy will provide a focal point for Fusion Doctrine training. Philip Dunne MP recently published a report evaluating the contribution of Defence to UK prosperity.6 This makes a very interesting addition to the debate, particularly around the economics of defence and relationships between defence and private sector suppliers. In Chapter 4 of Dunne’s report “Ideas and Innovation”, some of the key challenges of building effective innovation and research and development partnerships are outlined. He notes rising interest in MilTech, an area I feel has enormous potential. Contrasting for example the maturity of FinTech industries in the UK with MilTech is striking. The work of the Defence and Security Accelerator (DASA) and various cyber initiatives are however encouraging. Google’s withdrawal from Project Maven in the United States and recent debates about relationships between tech companies and the military does however highlight some of the challenges of managing an effective MilTech sector. The pace of the MDP review has been questioned, headline recommendations were expected to have been available prior to the NATO summit in Brussels earlier in July.7 There have also been reports of significant tensions between the Defence Secretary and the Prime Minister over defence budget allocations.8 Just ahead of Parliament’s summer recess, Gavin Williamson MP provided a written statement to the House outlining the 3 headline conclusions of MDP Phase 1. Somewhat unsurprisingly the report reiterated the need for 1) military readiness to meet evolving threats, new adversaries and high tempo operations, 2) agile and flexible capabilities to meet 21st century national security challenges and 3) the streamlining and transformation of defence commercial, procurement and business operations in line with similar departmental transformations in justice, treasury and health. This is to be particularly welcomed and government initiatives such as Government Digital Services, G-Cloud, light-weight commercial frameworks have done much to modernise the digital supply chain across government. Opportunities may therefore be available for new entrants into the MilTech sector which could provide stimulus and innovation needed to ensure UK military technology capabilities are and remain world leading. Among key challenges will be the cultural shift that effective MilTech requires, not least in embracing agile delivery and greatly simplified outcome-based contracts. The publication of the Defence Technology Framework and opportunities for niche players to contribute to UK national defence and security capability is however an exciting prospect. The MDR is unlikely to conclude its review before the end of 2018. However full publication is impatiently awaited by the UK defence community and its allies. Note: The UK Government has recently issued a revised version of the counter-terrorism strategy CONTEST v3.9 This strategy should be assessed in conjunction with the new national security doctrine (Fusion) and any proposed changes to UK defensive capabilities. HM Government. National Security Capability Review. ; 2018. https://assets.publishing.service.gov.uk/government/uploads/system/uploads/attachment_data/file/705347/6.4391_CO_National-Security-Review_web.pdf. Defence Committee. Modernising Defence Programme inquiry – UK Parliament. UK Parliament. https://www.parliament.uk/business/committees/committees-a-z/commons-select/defence-committee/inquiries/parliament-2017/inquiry9/. Published 2018. Simpson J. ‘Several Russians’ behind Salisbury poisoning of Sergei and Yulia Skripal. The Times. https://www.thetimes.co.uk/article/police-identify-russian-suspects-in-salisbury-novichok-poisoning-hl3s99kq9. Published July 19, 2018. Sawyer P. Novichok victim Charlie Rowley became contaminated after breaking bottle, brother says. The Telegraph. https://www.telegraph.co.uk/news/2018/07/21/novichok-victim-charlie-rowley-became-contaminated-breaking/. Published July 21, 2018. Lawson E. The UK National Security Capability Review and the Fusion Doctrine. RUSI. https://rusi.org/commentary/uk-national-security-capability-review-and-fusion-doctrine. Published 2018. Dunne P. Growing the Contribution of Defence to UK Prosperity: A Report for the Secretary of State for Defence. ; 2018. https://www.philipdunne.com/sites/www.philipdunne.com/files/attachments/Philip_Dunne_Defence.pdf. Maken-Isherwood L. MoD’s Latest Review Could Be Delayed. Forces Network. https://www.forces.net/news/mods-latest-review-could-be-delayed. Published 2018. Parker G, Mance H. Defence rift deepens between Theresa May and Gavin Williamson. FT. https://www.ft.com/content/0ce3b3a2-7a14-11e8-bc55-50daf11b720d. Published June 27, 2018. HM Government. The United Kingdom’s Strategy for Countering Terrorism. ; 2018. https://assets.publishing.service.gov.uk/government/uploads/system/uploads/attachment_data/file/716907/140618_CCS207_CCS0218929798-1_CONTEST_3.0_WEB.pdf.